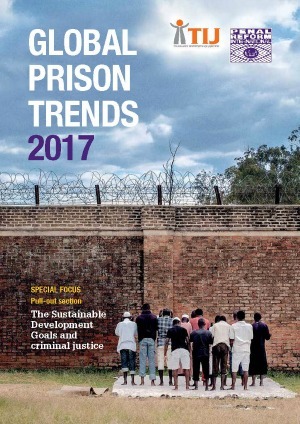 Today, PRI launches its annual flagship publication, Global Prison Trends 2017, at the UN Commission on Crime Prevention and Criminal Justice. Global Prison Trends 2017 identifies the topical developments and challenges in criminal justice and prison policy and practice over the past 12 months, and highlights some significant reports and jurisprudence. It is the third edition in PRI’s annual Global Prison Trends series, and is published in collaboration with the Thailand Institute of Justice. The report also provides 25 recommendations for states to review and improve their penal systems. 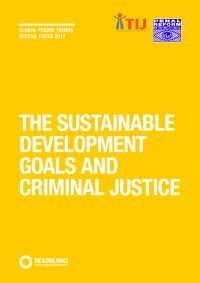 A Special Focus section looks at the Sustainable Development Goals (SDGs) in relation to criminal justice, using examples from a range of countries to highlight specific issues and summarising why criminal justice and criminal justice reform must play a part in achieving the goals set out in the 2030 Agenda. ‘PRI’s flagship report seeks to help criminal justice stakeholders to monitor trends and new developments, to learn from experiences across the globe, and to identify issues that deserve global attention,’ says Andrea Huber, Policy Director at PRI. HRH Princess Bajrakitiyabha Mahidol, UNODC Regional Goodwill Ambassador on the Rule of Law in Southeast Asia and the Pacific, and the President of the Thailand Institute of Justice, says that the report ‘provides a window to one of the least visible and least accessible government sectors, while highlighting some of the most intractable correctional issues for policy makers across the world’. Click here to read Global Prison Trends 2017.